Don't Escape – 4 Days in a Wasteland. An apocalyptic adventure. 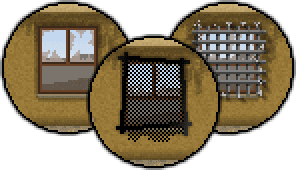 A classic pixel-art presentation for a post-apocalyptic tale. Will the actions and choices you make keep you alive each chapter? Variable obstacles in each chapter offer new surprises when you replay. There’s something on the horizon. After eking out a bleak existence in the wastelands, you thought you were prepared for anything. But one night a terrifying nightmare makes you bolt up from sleep. And when you realise it might not be just a bad dream, you also realise there’s no way to run. The choices you make determine how everything plays out. Solve puzzles and think your way through. In each chapter, you’ll need to choose what to do to manage your time most effectively before sundown. Repair a bridge? Look for supplies? Travel to a distant location? 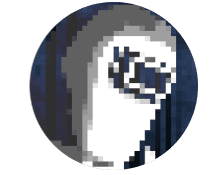 Each will cost you some time, and when that runs out, it’s time to face the music and see if you planned appropriately, or if there’s going to be another body in the wasteland. 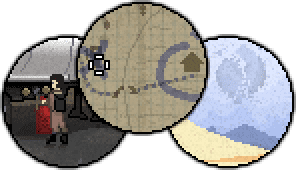 From its attractive pixel art style and its beautifully recorded soundtrack, to its engaging puzzles and gripping story, Don’t Escape: 4 Days in a Wasteland manages to be a surprising and altogether rewarding adventure. ... with its mysteriously strange setting and platforming puzzle gameplay would being justified in garnering comparisons to the similarly atmospheric Limbo. 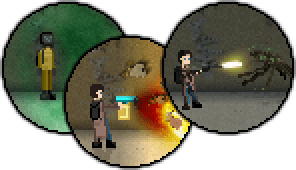 Don’t Escape: 4 Days in the Wasteland is a superbly written, clever and well made indie title. Its take on the blending of point and click with survival styles make this a genuinely unique title. I have not really felt so involved in a game for a long time, and the combination of survival elements with point-and-click adventures works perfectly. scriptwelder has specialised in imaginative adventures, such as the popular Deep Sleep horror and Don’t Escape games. 4 Days in a Wasteland is his first commercial title.